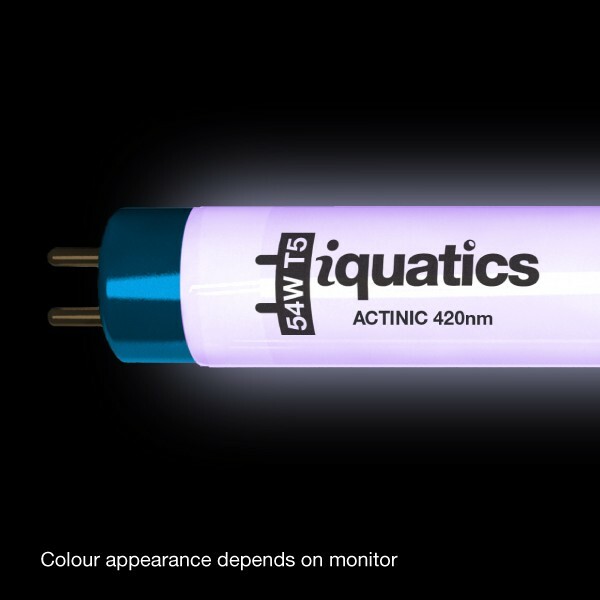 45W – 895mm/36” (l) – 5/8”- 16 mm (w) BLUE MARINE ACTINIC 420nm - Lighting with a higher blue component better simulates the softer shades of dusk, dawn and the blue hue of deeper water. 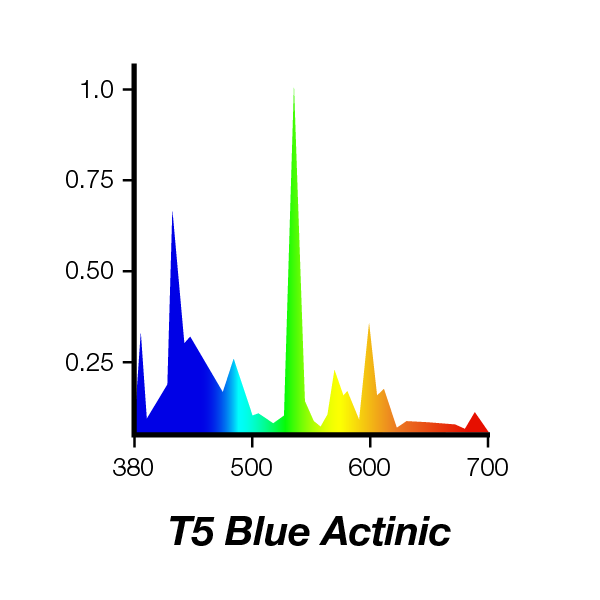 Our Blue Marine Actinic has specially selected phosphors producing actinic wavelength within the 420nm range of the spectrum thus enhancing the fluorescent colours in your corals. With the slight purple/blue hue appearance deeper penetration is gained due to the spectrum not being absorbed by the salt content in your aquarium. Your tank may not appear as bright but the light it gives out has wavelengths specific to ideal growth conditions rather than containing the (useless for photosynthesis) wavelengths which the human eye perceives as a bright light. 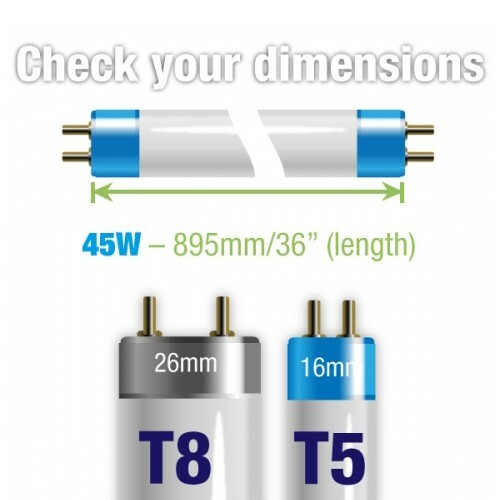 The tubes are excellent value. Essentially you buy two for the same price as elsewhere but you get a third free with iquatics. The delivery is rapid and they come in sturdy packaging that is fit for purpose. They look good too ! 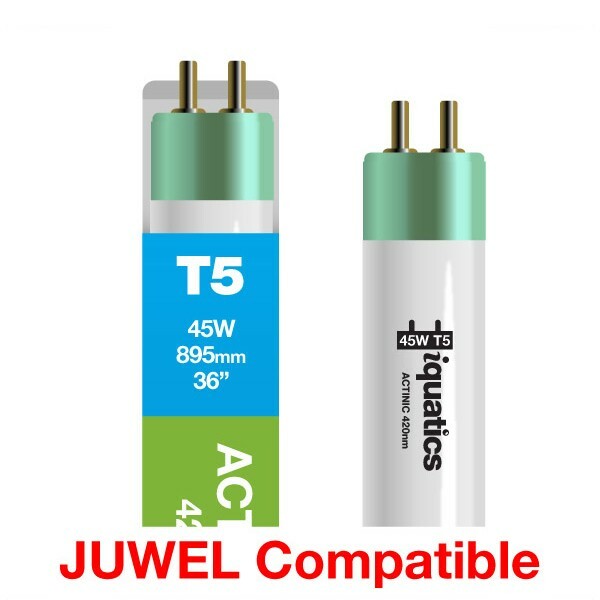 Bought as a replacement to standard Juwel tubes. Excellent quality and really enhanced the colour of the fish. I bought with the reflectors which are superb value and of better quality compared to the Juwel equivalents. I would highly recommend this product.